The sparkle of druzy is amazing. The formation of the tiny crystals occurs after molten rock quickly cools, trapping gas within it as it solidifies. Gasses cause crevices and cavities in the cooling rock. 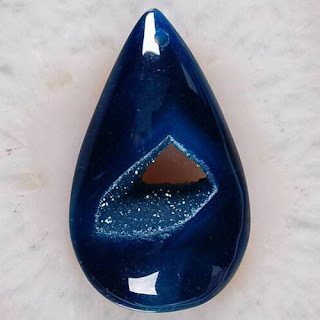 Nutrient-rich groundwater later flows through these gaps and crevices, depositing layer after layer of minerals which crystallize on top of each other so the resulting encrustation is called druzy The process takes a few hundred or even a few thousand years. 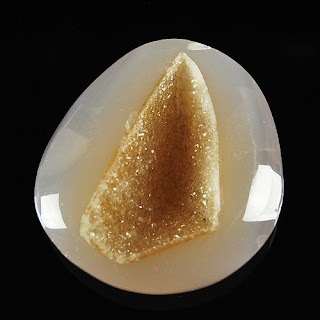 You find Druzy in High-end Jewelry. Don't ya just love rocks! Hey Portland Oregon- Good Job!! Fences for Fido is a non-profit, volunteer effort dedicated to improving the welfare of dogs living outdoors by removing chains, building fences, providing shelter, and offering free spay/neuter. With the help of generous supporters, Fences For Fido is chainging lives, one dog, one fence, one family at a time. Got any fence posts you don't need? Lumber? Chainlink? Want to Donate a couple bucks?